don't be so aggressive in your accusations: the fact that he released minor bug patches recently means he has been looking into the issue and in the process, identified other bugs that he could quickly fix. nevertheless i think it is a fact that he's not really focused on BL development anymore, or at least isn't very interested in it. I had a similar case on non-steam. It eventually went away, but only after hours of file searching and pure torture. It's not that, it's the exe, people complain because they forget that the launcher replaces EVERY default file, such as Blockland.exe so they have to avoid it using the launcher. I can give a simple batch file command but I'm unsure if I should post the code that avoids the launcher. The exe is the crashing fix, the piece of code is what fixes people from getting froze when loading. I only use the launcher if Blockland updates. also some specific users are getting random disconnects with numbers 0-110 as reasons, i don't know if this is related but it only just now appeared this afternoon. these disconnects appear like regular quitting in my console.log, idk. nothing in my gamemode code warrants kicking like that and nothing i use can be exploited. 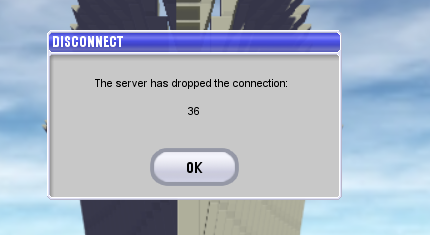 server's been running on 84 with the workaround for 3 days, 1 hour.